In This LA Neighborhood, Protest Art Is A Verb About a third of Boyle Heights' 90,000 residents live below the poverty line. But lower rents have attracted art galleries to the area, and that is drawing the ire of residents and activists. 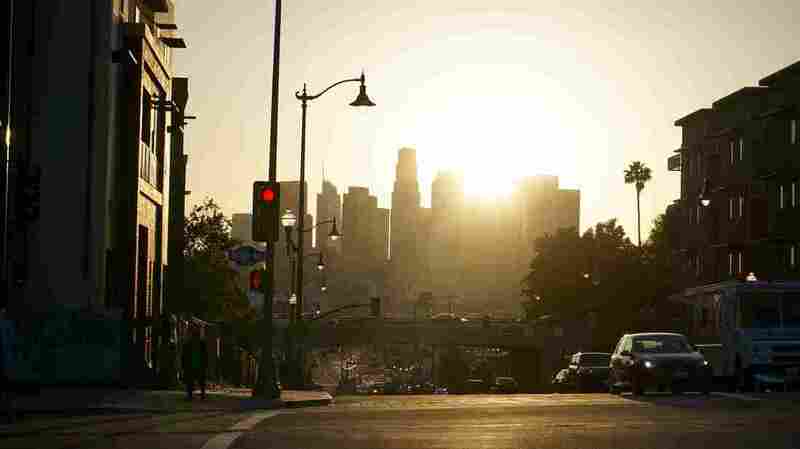 The view of downtown Los Angeles from Boyle Heights. As more neighborhoods in LA gentrify and see rents rise, many residents in this largely working class Latino neighborhood fear their neighborhood could be next. Art galleries have become the focus of concern. For a first time visitor, Anderson Street in Los Angeles' Boyle Heights neighborhood looks pretty gritty and industrial: old brick workshops, small factories, and a steady rumble of delivery trucks driving by. But step inside some of the old, soot-stained buildings and you're in a world of high-end art, with paintings worth thousands of dollars on the walls. 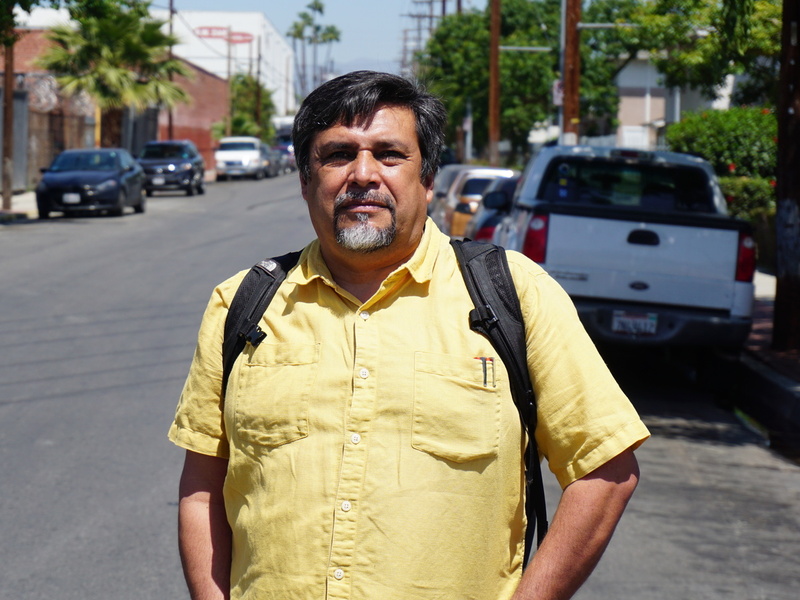 Leonardo Vilchis is executive director of Union de Vecinos, a Boyle Heights nonprofit that represents low-income residents. His group wants the art galleries out of the neighborhood. Over the last couple of years about a dozen art galleries have moved to vacant industrial spaces on and around Anderson Street to escape escalating rents in other parts of the city. Their arrival in the largely Latino neighborhood has angered some residents and neighborhood activists. With about a third of its 90,000 residents living below the poverty line, they argue the community has more important needs than art galleries. "A laundromat, a homeless shelter, affordable housing for people who make less than $20,000 a year, maybe get some parks, and some gardens, " says Leonardo Vilchis, who is executive director of Union de Vecinos, a Boyle Heights nonprofit that represents low-income residents in the neighborhood. 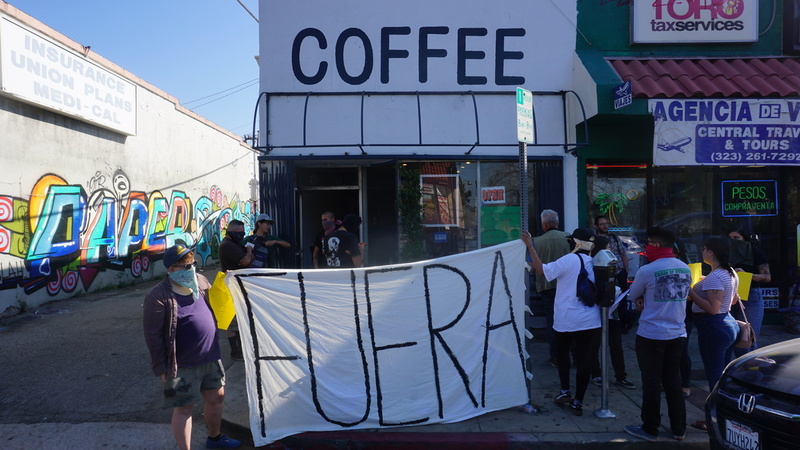 Vilchis fears the art galleries on Anderson Street could represent just the first wave of gentrification in Boyle Heights, a wave that could force longtime residents out as other businesses arrive and rents rise in their wake. Some observers have dubbed this connection between art and gentrification "art washing." "Put in an art gallery with paintings that cost tens of thousands of thousands of dollars and the audience that comes to this place starts looking for other kinds of amenities," says Vilchis. "They look for the brewery, for the coffee shop for the place to hang out. 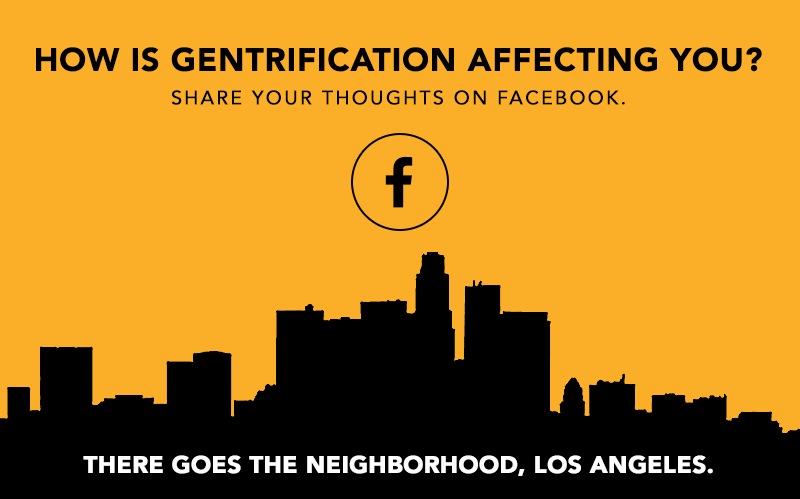 All of those things increase the cost and the value of the local neighborhood. " 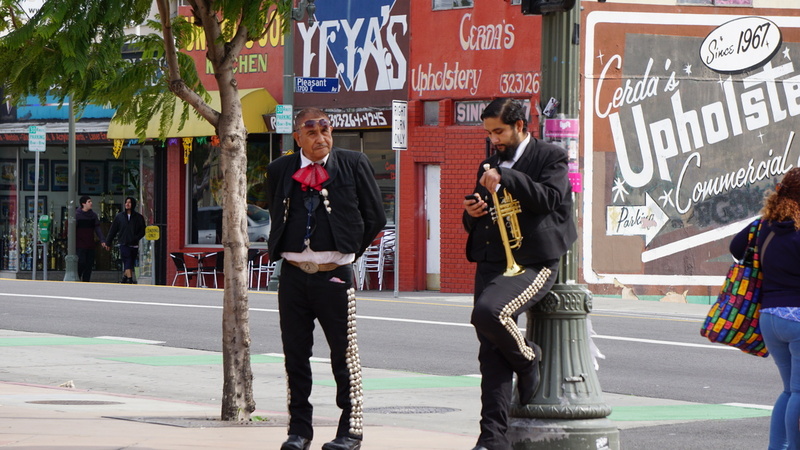 Boyle Heights residents fear gentrification will push out longtime residents of Boyle Heights and change the flavor of the community, like the musicians who gather in the neighborhood's Mariachi Plaza looking for gigs. Eva Chimento, of Chimento Contemporary, admits that before her gallery's opening night she was pretty clueless about this part of Boyle Heights. "You know like when you cross the state line there are empty fields that is like 'No Man's Land.' It's not Arizona, it's not California it's just 'No Man's Land.' That's where I thought I was," Chimento says. Boyle Heights is a community with a long history of protest dating back to the Chicano civil rights movement of the 1960s. And anti-gentrification activists are using some of that same energy in a campaign to force the galleries to leave Boyle Heights. Their tactics include protests in front of the galleries and the posting of mock eviction notices on the businesses doors. 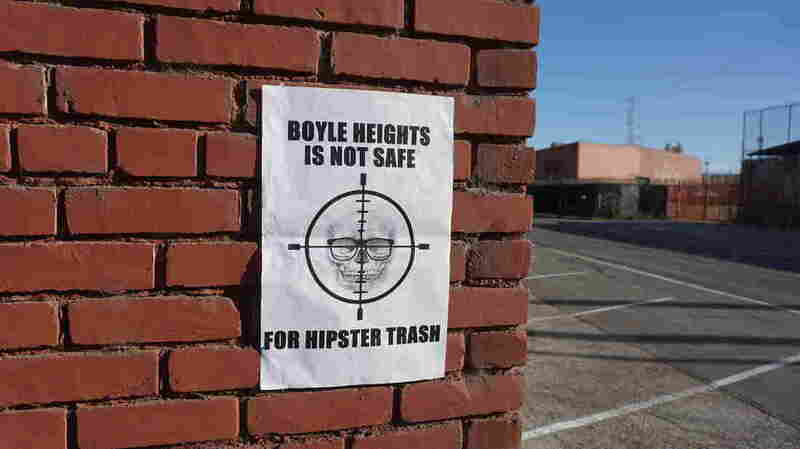 One group has even posted flyers showing a human skull in gun sights and the words "Boyle Heights is not safe for hipster trash." Protesters posted these flyers around the neighborhood. Last year, the door of a gallery was graffiti tagged with the words "F*** White Art." That prompted an ongoing hate crime investigation by the Los Angeles Police Department. Vilchis doesn't apologize for these actions, saying that they're the only way Boyle Heights poor and working class residents can get attention. He also likens the presence of galleries in the neighborhood to a kind of cancer and believes compromise is impossible, even with gallery owners who say they want to help the community. "What you need to do with cancer is you've go to do surgery, right?" says Vilchis. "You need to start killing the cells that are creating the cancer. So to say 'OK, I'm a cancer cell, but I want to be good,' doesn't change the fact that you're a cancer cell. You need to move out." Anti-gentrification activists staged a protest outside Weird Wave Coffee Brewers recently, chanting "Weird Cafe has got to go." And how are the gallery owners reacting to such tough talk? Eva Chimento says she was clueless about the neighborhood when she opened her gallery, Chimento Contemporary. Hers is one of about a dozen high-end galleries that have opened on Anderson Street in recent years. "It's not intimidating," says Mihai Nicodim, the owner of the gallery that was graffiti tagged. Nicodim opened his Boyle Heights Gallery in 2015, but he's longtime figure in the LA arts scene. "I'm not going anywhere," Nicodim says." I've been here in the downtown area for the last 25 years, I'm not going to go away because someone tells me to just go, you know? I'm home." But gallery opponents recently scored their first victory. Citing persistent harassment and trolling, one art space in Boyle Heights closed this year. To celebrate its closure, Vilchis and his fellow anti-gallery activists held a party in front of the building, complete with a mariachi group. As the battle for Boyle Heights continues, gallery owner Eva Chimento is already thinking about her own long-term future in the neighborhood. But she says it has more to do with escalating costs than protests. "Well, when my lease is up," Chimento says. "I may be moving, too. I might not be able to afford the rent." You can follow Saul Gonzalez on Twitter at @SaulKCRW.